I live in the beautiful country of South Africa, so as an Outlander fan, I am super excited about the filming due to take place in and around Cape Town. I’ve been digging around for the past couple of weeks for ideas on what the cast and crew can do on their off days, and to give you all a better feel for this lovely part of the world. Join me in this armchair view of South Africa and what the cast and crew can expect. It’s pretty widely known that much of the filming will take place at the Cape Town Film Studios and on the Black Sails ships. (Black Sails is another popular Starz series.) Cape Town Film Studios is the first custom-built, Hollywood-style film studio complex of its kind in Africa, with state-of-the-art support services. Its five sound stages are each the size of aeroplane hangars. They offer 75,347 square feet of high specification soundproof stages. The studio also has deep sea and beach tanks, a tropical island set, an 18th century village and a Man O’War set. Book readers will understand why it was chosen for Season 3 filming of the Voyager escapades. Aerial View of the Cape Town Film Studio Tropical Island set with the Man O’War set behind it. The studio includes workshops and costume storage. It has two workshop buildings, each 33,976 square feet in size, available for set construction, art department, wardrobe and storage space. Jon Gary Steele and Terry Dresbach will make themselves at home in no time at all I’m sure. You may remember Maril Davis’ tweet saying goodbye to the Scotland crew and wondering who on earth would do the thousands of things they did once they arrive in South Africa. Have no fear! As the film studio notes on its website, “We are home to a reputable pool of non-unionised technical, creative and business expertise gained by working on international feature films and commercials in both pre- and post-production.” In one of the testimonials on its website, Vance Van Petten, executive director of the Producers Guild of America, notes, “I’m no stranger to new studios; what Dekker has done with tanks (for the production of Black Sails), facilities and craftsmanship, truly exceeds what I have seen in the United States. They are at the forefront, and there is massive competition behind them.” Here is a closer peek at the studios and the ships that will figure large in Season 3. This is one of the workshops – nice and empty, ready to be filled with Outlander props and costumes. A secret source told me a week or so back that they are making some changes to the structures to make them authentic to the period. We do have proof that the adaption work is underway thanks to a new photograph. A set builder from the Cape Town Film Studio posted this photograph of the work currently being undertaken for Season 3 of Outlander. Then Matt B. Roberts posted a pic of the ‘tween decks set. It’s really happening fans! Another titbit I picked up is that filming of the new Lara Croft movie started at the studios in January and will wrap in April. This means some overlap with Outlander filming, and may explain some of the timing for our interminable #Droughtlander. The preparations for filming in March mean a lot of very busy people — many hands on deck in other words! We hope it won’t be all work and no play for our Outlander cast. Cape Town is one of the most beautiful cities on the planet. It has mountains with the ocean on both sides, unique flowers, fabulous beaches, a vibrant city life and lots to do, no matter your interests. Cape Town’s main physical attribute is Table Mountain whose linking chain of mountains runs all the way down the peninsula to Cape Point. Sam Heughan could certainly exercise his mountain legs by climbing this amazing massif. The views from the top are stupendous. While Caitriona Balfe has been known to do a good hike or two — remember that cute selfie she and Sam took on top of a munroe early in the first season? — she and other members of the Outlander crew might enjoy a ride up in the rotating cable car that gives 360 degree views of the city, Robben Island and out to the mountains around Stellenbosch. They can meet at the top for lunch —a picnic with local cheeses and wines is a great way to go. South Africans love their sport so many people run, walk, cycle, swim and surf – our climate makes outdoor sports a pleasure. Newlands Stadium with its view of the mountains will host Super Twelve rugby games with teams from South Africa, Australia, New Zealand and Argentina while the crew is in the area. Sam should take in a game to watch the local Cape team, the Stormers — they wear blue and white so he should feel quite at home. Surf spots abound but Muizenberg and Noordhoek have miles of sandy beaches with great surfing on offer. If they want some help in that direction, just give me a call and I can arrange it for them! Cape Town also has a number of sacred sites with standing stones (sounds familiar). There is the holy Grailstone at Houtbay, the Great Motherstone at Llandudno as well as Table Mountain itself, which was called Hoerikwaggo or The Mountain In the Sea and which has a number of legends associated with it. Part of the story is that the Earth Mother, Djobela, came to Qamata’s aid, creating four mighty Giants to guard the corners of the Earth…. After many battles with the Sea Dragon, the Giants were mortally wounded. Before they died, they asked the Earth Mother to turn them into mountains, so that even in death they could guard the Earth. And so the Greatest Giant of All, Umlindi Wemingizimu, became Table Mountain, the Watcher of the South. Cape Town spreads out around the spine of the Table Mountain range so the area offers outdoor experiences galore. A drive around the Peninsula reveals penguins at Boulders Beach and baboons and other wild life at Cape Point while also offering spectacular views of the Atlantic and Indian oceans. I really recommend a visit as well to Kirstenbosch Botanical Gardens and a walk on the elevated tree walk. It is beautiful any time of the year and one of my favourite places in the world. Kirstenbosch also hosts sunset concerts once a month that are something special. But Cape Town offers more than simply wonderful outdoor activities. It’s also home to hundreds of wine estates, each with its own vintages. A good way to get to know some of them is to take a wine tasting tour around Stellenbosch to discover its many varietals. One fun way to tour is on the Franschoek train. The cast definitely needs to drink some of the local red Pinotages and Cabernets as well as the white Chenin blancs. My son highly recommends the Delaire Graff Botmanskop red blend, the Springfield Work of Time or the Meerlust Rubicon red. Boschendal is one of the premier estates and it has a wonderful restaurant for the Outlander foodies. Top notch cocktail bars will mix you anything you like, but the cast should try the latest craze for rooibos-infused cocktails – that’s our local herbal tea that’s grown nowhere else in the world. Those who take to the taste and enjoy herbal teas should try it black with lemon or our other native tea – Honeybush. Both are caffeine-free and very healthy. Pubs are plentiful, but if the crew wants to see Capetonians in their natural habitat, then an evening at the Forester Arms (aka Forries) can be fun. Kalk Bay has one of the best views on the peninsula and several restaurants there serve good food, too. Watch the local fishermen unload snoek from their boats with plenty of Cape humour to salt the experience. It should make the Outlander cast feel quite at home after their time in Dunure. You can buy some fish and feed the seals too. Theatre is another option for our Outlander crew; the Baxter Theatre and the FugardTheatre have some great productions. Howard Barker’s play Scenes From An Execution is on the schedule for April for example. Of course no serious trip to Cape Town is complete without a trip to Robben Island to see the cell where Nelson Mandela spent 27 years in captivity. Daily tours leave from the V&A Waterfront by ferry or you can fly in by helicopter as well. This is a great way to view the city and its mountains and one I would love to do myself sometime. You can even take the Jolly Roger Pirate Boat out to sea if you want to know what it feels like to voyage on a sailing ship. Time for a Little Outlander Charity Work? Sam and local My Peak Challenge members might enjoy this challenge on Easter weekend — the 48th annual Two Oceans Ultra Marathon will be run around the peninsula. Being MPC fit, Sam would be able to tackle the 56km run with relative ease. At this stage he would have to register as a charity runner, a perfect match for his Cahonas campaign, The Prostate Cancer Foundation. It’s an organization led by a group of South Africans who have a direct interest in prostate cancer and the entry fee is only about 100 Euros to support a cause close to Sam’s heart. Caitriona, meanwhile, might be interested in supporting her World Child Cancer charity work by visiting the Red Cross War Memorial Children’s Hospital. It is a specialist referral hospital for children and includes a dedicated Oncology/Haematology section offering treatment for children with cancer or bleeding diseases. They treat children from all over Africa and also provide training for doctors from other African countries in various paediatric medical specialisations. On a lighter note, we mustn’t forget shopping because you can shop till you drop in Cape Town. From the tourist-oriented Victoria and Albert Waterfront or numerous shopping malls to the quirky Greenmarket Square’s market or Long and Loop Streets for books and unique items, Outlander cast and crew will have no shortage of places to spend their euros. At the moment they will also get a really good deal as our local currency is in the doldrums. South Africa is one the world’s main producers of gold, platinum and diamonds so it’s a great place to shop for jewelry. Gifted designers produce stunning pieces and Cape Town has some wonderful jewelry shops to browse in. Fashion designers also produce world class couture and ready-to-wear. Cait could pick up something for her next awards evening. But what about the people? South Africa has 11 official languages and even more cultures, which makes for an interesting bredie (stew) of different ingredients. What do we have in common? Most of us are easy-going, friendly and incredibly hospitable. We love to talk, especially to foreigners, so you might well find yourself invited to come home for a braai (barbecue), the staple South African meal for relaxing with lots of meat and beer. In the townships this is known as TshisaNyama – hot meat and is usually served with an equally spicy tomato and chili sauce called chakalaka. Cape Malay cooking also makes use of lots of spices in its Breyanis and Boboties. So they will be in safe hands. Before too long Sam, Cait and the rest of the crew will be familiar with the South African delights of biltong (beef jerky but better), koeksisters, Ouma’s rusks and rooibos tea. 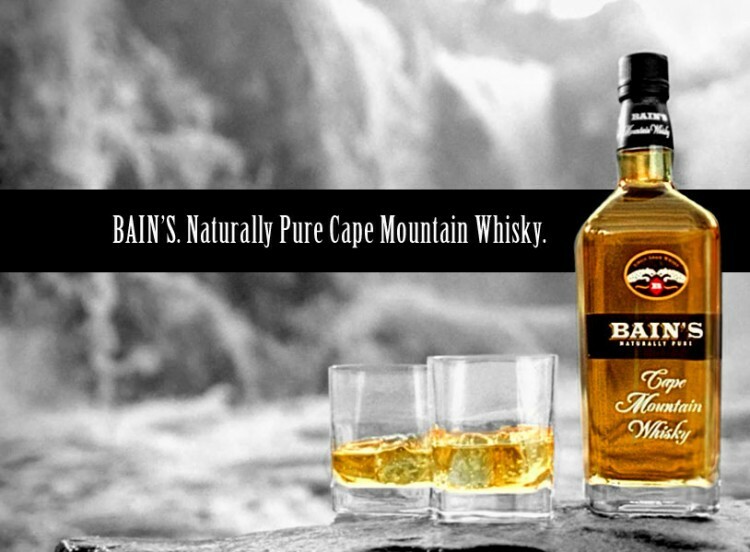 But this is an Outlander crew so we have to ask “What about Whisky?” Well, South Africa has its own Whisky – Bain’s Single Grain Whisky named after Andrew Geddes Bain, a Scotsman from Thurso. It has won awards as the best grain whisky in the world and they have just brought out a 10 year old Single Malt Limited Edition that sounds fabulous and worth a dram or two to check for quality, if nothing else. I’ll drink to a very successful season 3 knowing that my home country will have had something to do with the success of the season. Any South African fans out there? Let us know if you would like to join in with an Outlander Cast meet-up in Cape Town! You never know, if there are enough of us, we might even get to tour the studios. I hope that all the Outlander cast and production team have a fantastic time so Wamkelekile Outlander from Mzansi (Welcome from South Africa) – cheers, Slainte and bottoms up! Have you ever visited South Africa? What would you recommend Sam, Cait and the rest of the cast should do while they’re here?